Five players with connections to the state of Washington will be among the 322 taking part in this week’s NFL Combine at Lucas Oil Stadium in Indianapolis. Five players with significant connections to the state of Washington will participate in this week’s NFL Combine in Indianapolis. 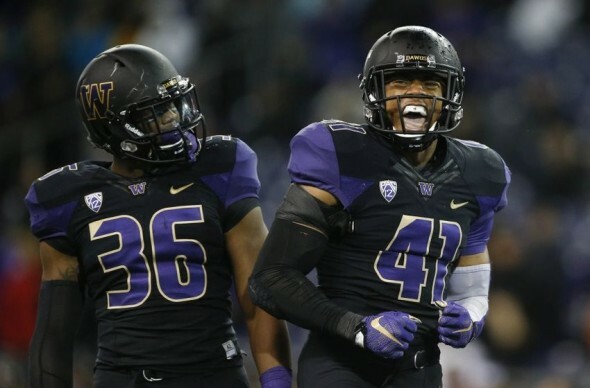 The list includes ex-Husky linebackers Travis Feeney and Cory Littleton, former Washington State guard Joe Dahl, UCLA’s Myles Jack and Stanford’s Joshua Garnett. According to NFL analysts, the only certain first-round pick is Jack, projected by the league as a future All-Pro. A Spokane native, Dahl (6-foot-3, 300 pounds) began his collegiate career at the University of Montana, then transferred to WSU where, after sitting out a year, he was a two-year starter, first at left guard, then at left tackle . . . Expected to move inside to guard in the NFL . . . Named first-team All-Pac-12 last year and second-team All-America by USA Today. NFL Pre-Combine grade: 5.4 (NFL backup or special teams potential). Richmond, CA., native posted an outstanding senior year after replacing Hau’oli Kikaaha, drafted last year by the New Orleans Saints . . . Recorded 17.5 tackles for loss and eight sacks . . . Tied for second in the conference with three forced fumbles . . . Pac-12 Defensive Player of the Week after UW’s win over USC (3.5 tackles for loss, 2.5 sacks) . . . Selected second-team All-Pac-12 . . . 6-3, 225 . . . Began college career as a safety. NFL Pre-Combine grade: 5.11 (better than average chance to make an NFL roster). A native of Puyallup and the son of former Husky nose tackle Scott Garnett, the Stanford lineman won the Outland Trophy last season as well as the Morris Trophy, given to the Pac-12’s lineman of the year. He was a unanimous All-America, only the ninth in Stanford history . . . 6-5, 325. NFL Pre-Combine grade: 5.89 (chance to become NFL starter). A native of Bellevue and graduate of Bellevue High School, Jack played in only three games last season before suffering a season-ending knee injury. At that point, he left the team and declared his intention to enter the NFL draft. He was a Paul Hornung Award finalist as a freshman in 2013 when he played offense and defense . . . Scored four touchdowns against Washington that year. . . 6-1, 245. NFL Pre-Combine grade: 7.5 (future All-Pro). Spring Valley, CA., native had a solid senior season as a SAM linebacker, named honorable mention All-Pac-12 . . . Started all 13 games, recording 65 tackles, including 11 for loss, and six sacks (ranked 10th in the conference) . . . Six tackles and a pass broken up in the Heart of Dallas Bowl win over Southern Miss . . . 6-3, 225.